Oceana, the world's largest ocean advocacy group, announced a major contribution by the actor's philanthropic organization, which will be spread over a three-year period. 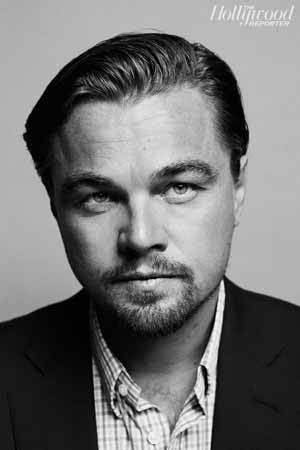 Leonardo DiCaprio is getting behind ocean advocacy. Environmental protection organization Oceana announced Thursday a $3 million grant from the Leonardo DiCaprio Foundation aimed at protecting threatened ocean habitat and marine species. Spread over a three-year period, the $3 million marks the foundation's first marine conservation grant. A longtime environmental activist, DiCaprio -- who has worked to protect elephants and tigers -- pulled together an art benefit, the 11th Hour Charity Auction at Christie's last year, which raised $38.8 for endangered species protection. This comes after Bloomberg philanthropies committed $53 million to the Vibrant Oceans Initiative, a partnership between Oceana, Rare and EKO Asset Management. Rashida Jones and Cobie Smulders have also gotten involved, traveling with the organization to Belize. Likewise, Miranda Cosgrove is launching a public service announcement with Oceana about protecting dolphins. "Protecting our planet's oceans and the marine species that call it home is one of the most pressing sustainability crises facing humanity today," DiCaprio said. The actor's foundation dedicates itself to protecting the earth and since 1998 has worked on pressing environmental and humanitarian issues. "The foundation and Leo's support for campaigns like our efforts to ban the drift gillnets in California will help Oceana win more protections for countless sharks and other marine animals and for ocean habitats in the Pacific and Arctic -- which include some of the most productive ocean places in the world," said Oceana CEO Andy Sharpless in a statement.